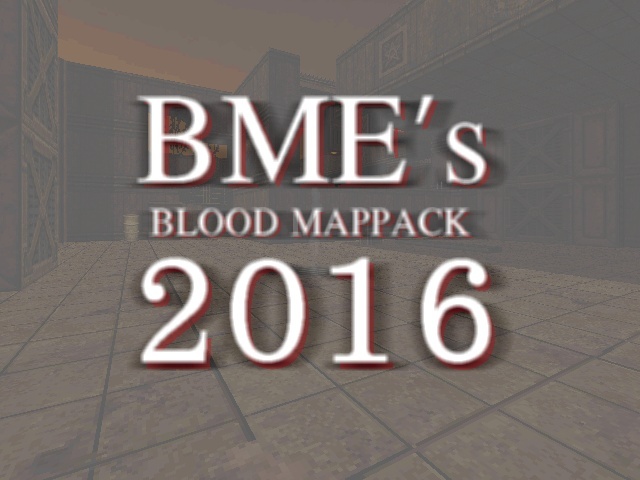 Map "BMEs Blood Map Pack 2016"
Funny how people always want more. First we got all those crappy zips and nobody complained about them let alone started to properly organize it. Then someone comes along to put some order into it and creates this wonderful tidy mappack. A couple of releases later people suddenly expect a launcher. Nevermind. There was a version of your 2014 pack with a launcher but I see now it was repackaged by another user. What happened to the map launcher the earlier releases included? 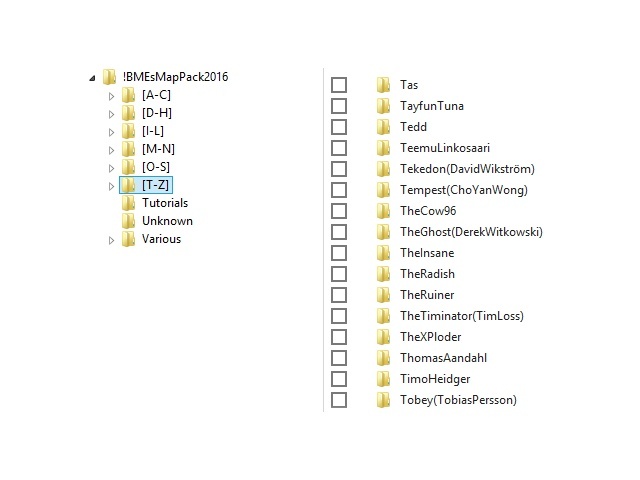 There never was a launcher in any of the previously released BME's Map packs, it just an archive. 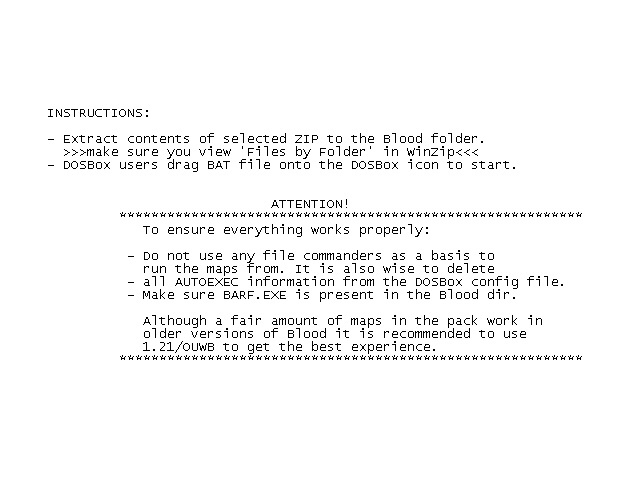 You have to unzip stuff yourself and run the BAT file dragging it onto the DOSBox icon. I can't find a .bat-file to launch te menu??? There no menu from which a map can be started, just extract contents from a ZIP file and drag the BAT file onto the DOXBox icon. That's too bad but Nyyss0nen will release something big soon I've heard. Wow! Thanks a lot for your effort, man! Much appreciated.